Aaron Cole February 9, 2018 Comment Now! 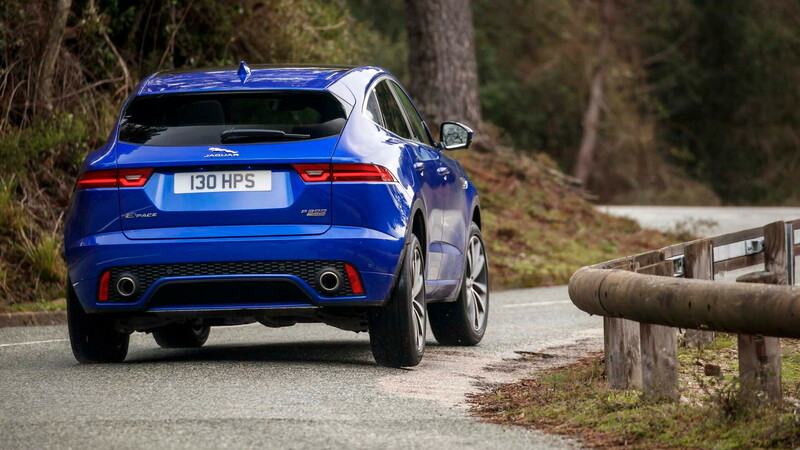 Jaguar’s second crossover may have started life as a Land Rover and a Range Rover. But making it a "Jaaaaag" was job No. 1 for the 2018 Jaguar E-Pace. What’s a Jag if it doesn’t drive well? To that end the list of changes was fairly substantial. 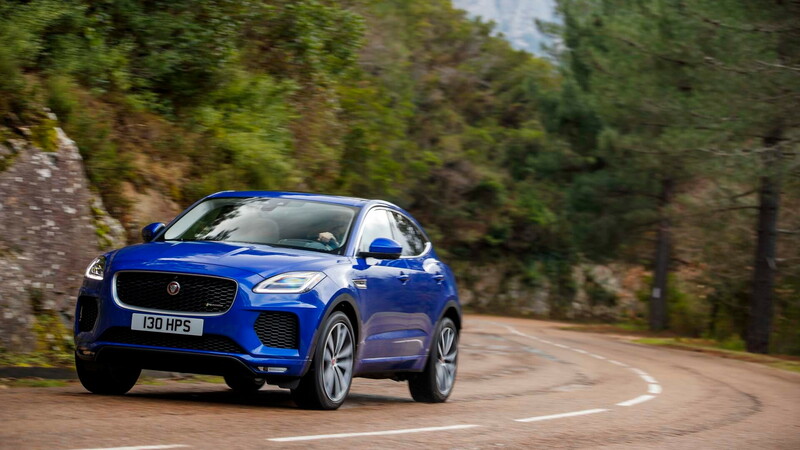 The Jaguar E-Pace gets its own suspension bits, including aluminum steering knuckles and camber rates that prioritize on road feel. 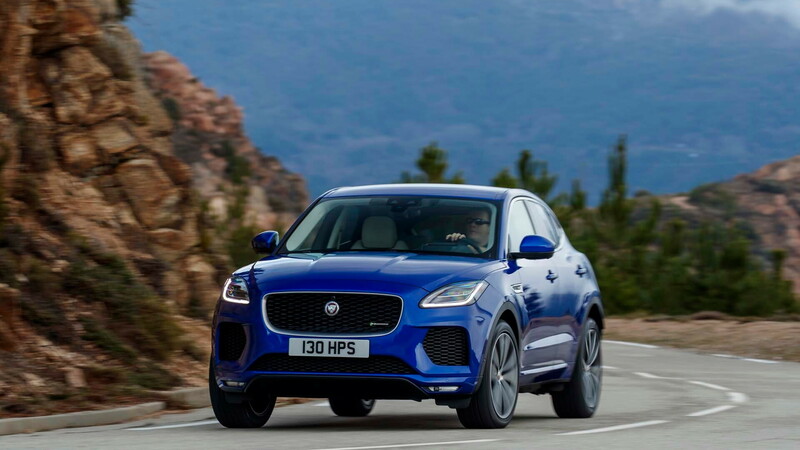 It’s firmer than the other two, and even though it’s Jaguar’s first transverse-mounted engine with front-wheel drive bias, it’s meant to be a sporty driver. We don’t get a front-wheel drive version in the states—at least not now—it’s all all-wheel drive. An optional all-wheel drive system borrowed from Range Rover is the star of the show. It’s true torque vectoring and it’s enough to carve a tighter corner, or bring the back end around in very loose surfaces. The rest of the powertrain tries to keep up. 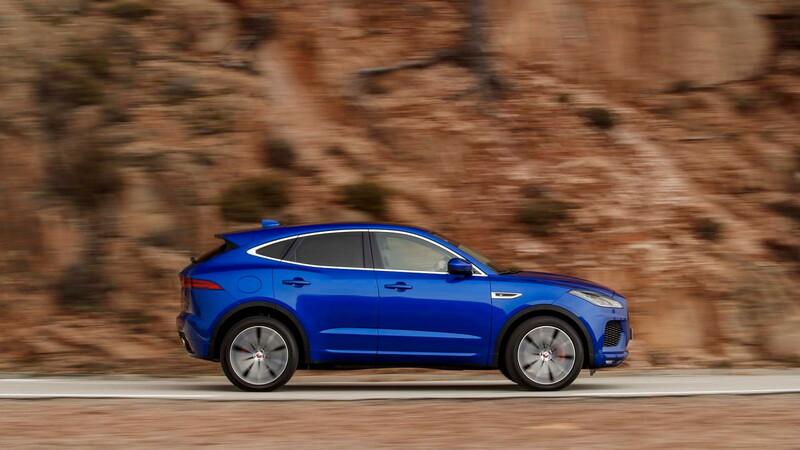 The E-Pace gets a turbo-4, with either 246 horsepower or 296 horsepower, and a 9-speed automatic. The turbo-4 is gruff, but has enough meat to get the E-Pace going, but it’s not helped by a 9-speed with its shoes tied together. Inside, the E-Pace plagiarizes the F-Pace’s interior look, but without the same materials. Leather is standard on most trims, but the soft stuff needs more money. The dash and doors don’t have the same feel from the higher-buck F-Pace, and it’s not as quiet inside. Pushing the front windshield and cabin forward also pushes the front wheels into the foot wells, and we’d ask for a little more thigh support. Packaging seems to be Jag’s heel for now, but performance isn’t. 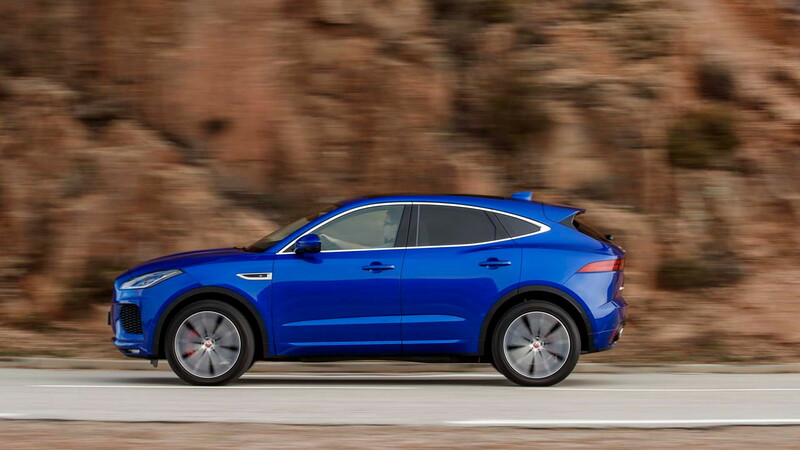 The E-Pace brings some driver-centric systems to a platform that’s familiar to us now. It retains a lot of the good parts of the Discovery Sport, but in a package that looks better on the outside. The inside has its highs and lows, but it’s one that’s worth considering for a driver-first crossover.